The Garden District and Lafayette Cemetery No. 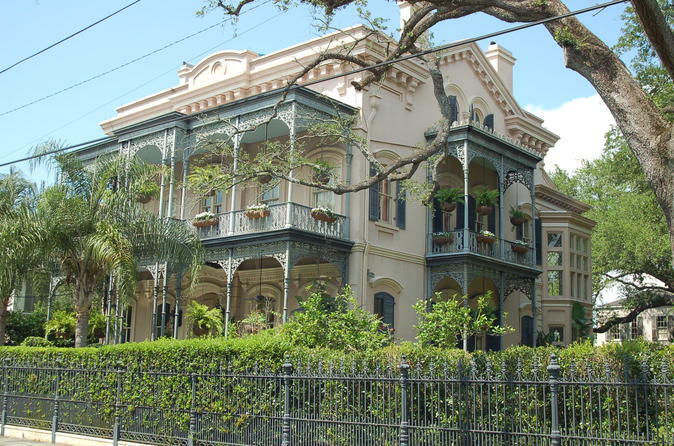 1 tour is a two hour leisurely stroll with frequent stops through one of America's most beautiful neighborhoods, the New Orleans Garden District. Enjoy learning the history behind these ancient mansions while resting in the shade of the beautiful centuries old Live Oak Trees that line the streets of this magnificent ward! The New Orleans Garden District is a beautiful and ornate neighborhood with gorgeous, historic houses and mansions dating back to the antebellum days of the Old South. This historic neighborhood is comprised of the world’s largest collection of 19th-century southern-style mansions, some of which are still known by the names of families that built them. This whole area was once a number of plantations, eventually sold off in parcels. Originally the Garden District was developed with only a couple of houses per block, each surrounded by a large garden, giving the district its name. Bring your camera! This two hour walking tour is best enjoyed on foot in order to fully enjoy the exquisite examples of quintessential New Orleans architecture: white columns, scroll work of a cast iron fence, or a romantic Romeo and Juliet style gallery. We'll also visit Lafayette Cemetery No. 1, a historic 19th-century cemetery with above-ground tombs & statuary characteristic of the area.